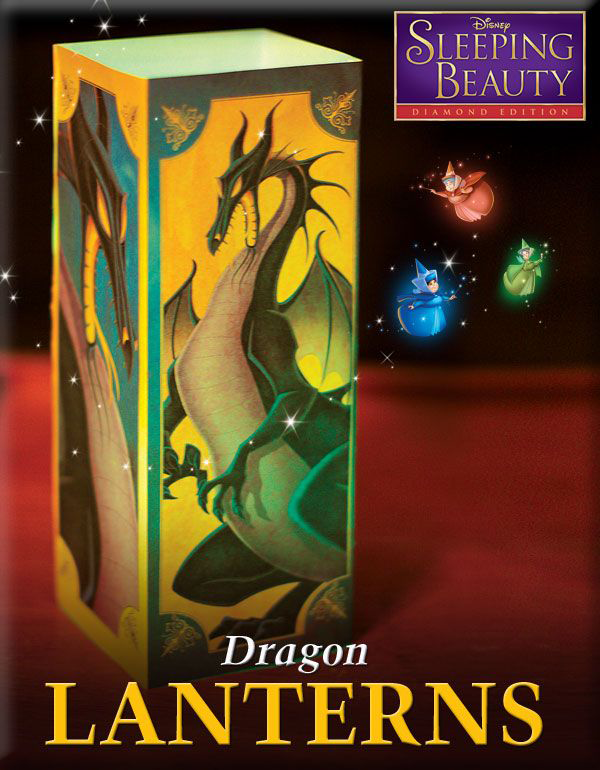 Disney’s newest Diamond Edition release is out today! 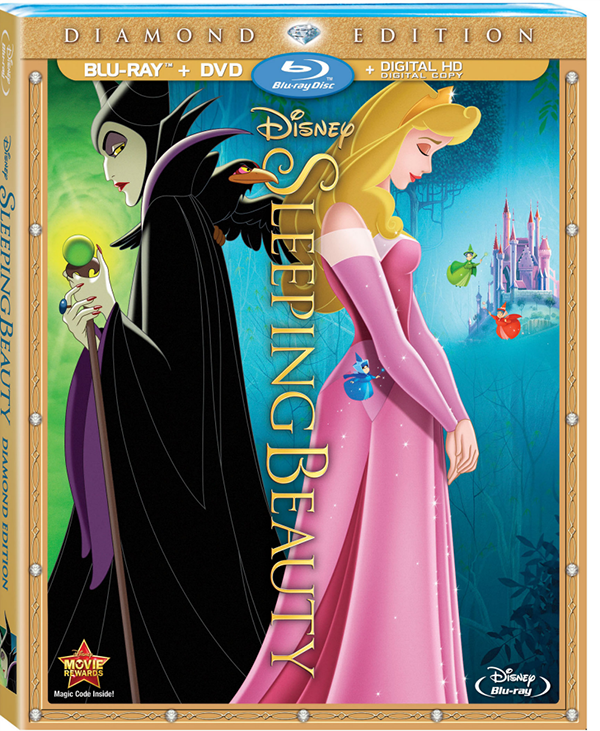 The Sleeping Beauty Diamond Edition boasts a beautifully restored picture and sound and includes Blu-ray, DVD, and Digital Copy. I was so impressed with this digital restoration. The animation is sharp, the colours are bright, and the sound is clear as a bell. If I didn’t know better, I would not have thought this movie was made 55 years ago. I know the story of course, and I’m very familiar with the classic song “Once Upon a Dream” courtesy of my childhood Disney cassettes, but I don’t know if I’ve ever actually watched the entire movie. So I was really looking forward to watching this with my girls. Two-year-old Kay was not as interested as I had hoped and ended up wandering in and out of the room, but at four years old Tee was totally engrossed throughout the entire movie. She did find the scenes with Maleficent’s Goon minions a bit scary though, and she scooted a little closer to me when Maleficent turned into the dragon. To be honest, I prefer my heroines with a little more personality (which Disney has done a lot better on in more recent releases), but Maleficent is truly wonderful as the villain. I also have a soft spot for the the good fairies Flora, Fauna, and Merryweather. 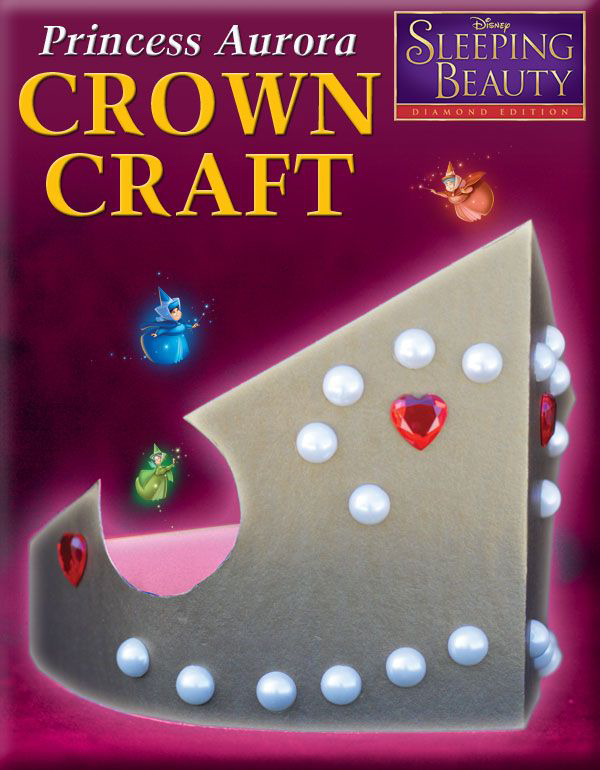 Overall, this is a piece of classic Disney history, and the Sleeping Beauty Diamond Edition is a much-loved addition to our Disney-loving household! “Once Upon A Parade” – Join Sarah Hyland form ABC’s Modern Family as she tells us the tale of Walt Disney’s new Festival of Fantasy Parade. “The Art of Evil: Generations Of Disney Villains” – Legacy piece spotlighting Disney’s favorite villain animator and Maleficent creator, Marc Davis. “@DisneyAnimation: Artists in Motion” – Watch how Walt Disney Animation Visual Development artist Brittney Lee goes through the process of creating a 3D sculpture of Maleficent, completely out of paper. 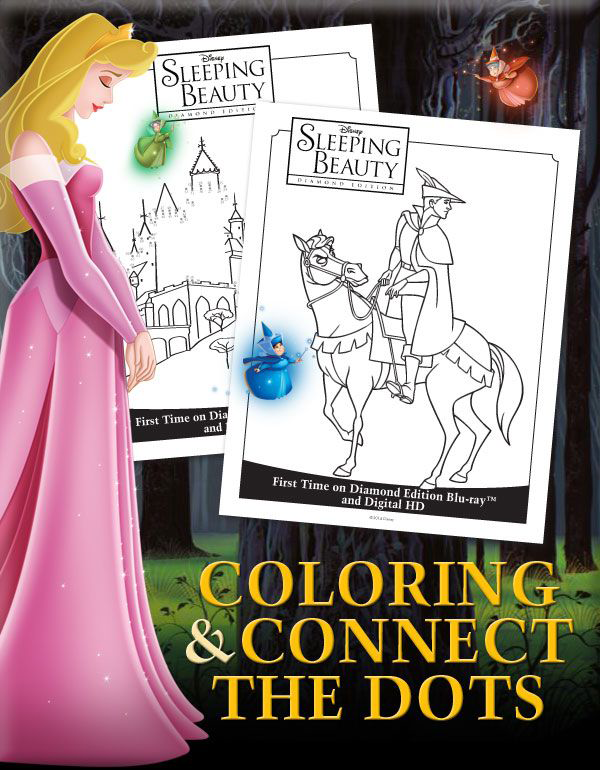 Check out these fun Sleeping Beauty coloring pages and crafts to make with the kids! I have always wanted to add this to my collection. I would love to own this and be able to check out the bonus features and see how I like it restored. 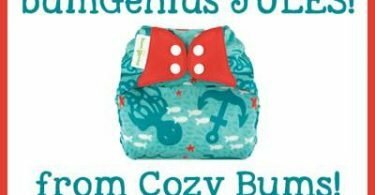 I tend to like my originals.